Rainy season brings on you a lot of inconvenience since rainwater forms pool around your house making it difficult for you to spend time in and around your house with comfort and relaxation. The most noticeable harm done by severe downpour is blocking stormwater drain. You will see good amount of water forming a pool at the back of your house. The wet season clogs the drain and increases struggle for you. Because weather can strike your household anytime, you need to regularly check the functionality of drain water to see if they are actually working as expected and disgorging the waste and dirt. If you think and are sure, you can take on doing the drain cleaning and unclogging on your own. You can get stormwater drain up and running without having to involve a plumber who may take some time before visiting your home and giving solution. But make sure all the methods you implement for cleaning the drain water are effective. Upon finding that you are unable to go any further because of overwhelming job, it is most advisable to contact a professional drain maintenance plumber. The following are some of the handy DIY steps you can adopt to clean the blocked drain. You will have to dig a little to discover obstructions that bung up the drain pipes and cause insupportable blockages. You may see ball, plastic junks, organic materials like sticks and leaves getting stuck there in. these are the objects that you can easily get your hands on. Insects and small creatures also hold responsible for severe blockages in stormwater drain. They creep in and build their own wonderland. Use torchlight to identify them and keep the strap handy to clear the pipes. Apart from this, another accomplice that indirectly contributes to the drain blockages is the unwanted wild growth of mold that in turns gives rise to potential problem. Mold usually find its way in wet, dank and dark places with gaps or holes. They stay there and redoubles in rainwater, hibernate and eventually trigger the blockage. To eliminate this, you can apply bleach water solution down there, dismantling and destroying it completely. If your sink responds sluggishly to your act of washing something over it, this is the sign the drains are blocked and they need to be cleared. Next, you notice the abysmal smell in your kitchen which is too repugnant to bear. To test the functioning of water flow system, you can try to pour an enormous amount of water at times and check for the signs of wet patches on the outer surface of drains. If you see any, it is a time to take an action. Here are some DIY methods you can prefer over plumber to alleviate the headache of stormwater drain yourself when you want it done in minimal time and cost. If you surely know the blockage is caused by greasy substance like oil, fat and soap froth, use boiling water. Or you can select something better. Mix salt, bicarbonate soda and vinegar with hot water and apply them to stormwater drain. This will not kill the environment or even your sink. If the problem is severe, this approach may fail to show your results. Plunger works by forcing the air through the drain pipe and helps clear the block. Before you use a plunger, try and ensure that you keep a damp cloth and confirm that the drain is sealed. Many plumbers also recommend making an attempt with a plunger to force the air through the drain. Tools availed with technique always help properly address the problem of drain blockage. Plumber’s snake or auger can unclog many types of blockage problems and throw away everything including organic materials. One con of this method is that you need to have proper skills to use the tools. If none of above discussed DIY solutions work, you can stop waiting and call a professional plumber immediately to work it out. 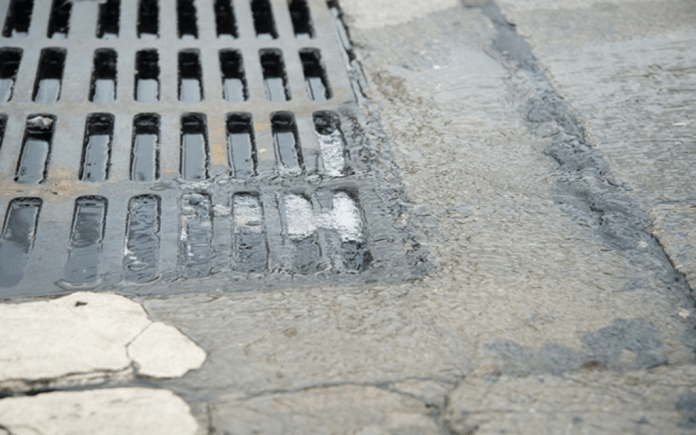 Also to avoid this problem from occurring on and off, you better schedule regular drain maintenance to clear stormwater drain before it starts turning into a gruesome nightmare like flooding the space and encouraging disease-causing bacterial growth.